Doing a road-trip across Europe is a great way to see places, experience different cultures and try different food. Just make sure your planning isn’t just the route and where you are going to stay. Many countries have different rules and it is worth taking the time to familiarise yourself with them. The alternative might be a uncomfortable traffic stop and a big fine. High-visibility jackets for all passengers are required in some countries, but in case of a breakdown at night they are an important safety item anyway. Some countries require spare bulbs to be carried, it makes sense to carry them anyway as driving at night with a missing headlight is both hard and dangerous. Carry a European accident report form – you can download in various languages here. Many countries require payment in cash on the spot for traffic fines for non-residents, carrying a little extra cash can avoid a police-escorted trip to a cash machine (or worse). 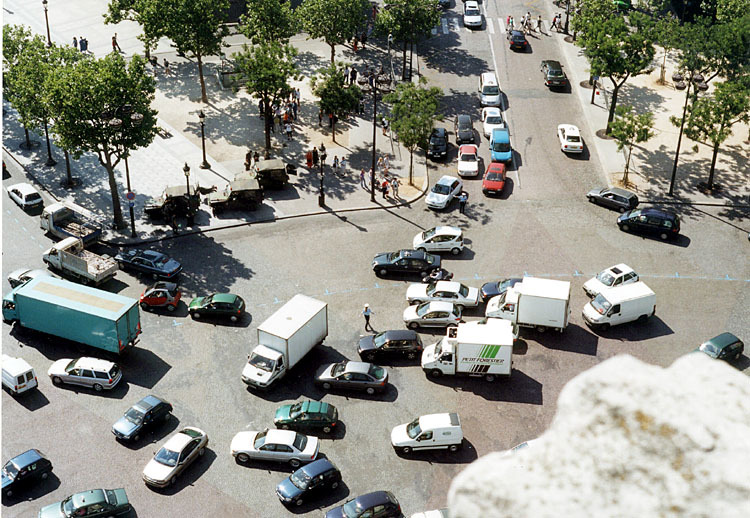 Priorité à droite in France means that traffic joining from the right has priority – the Arc de Triomphe is probably the most frightening example – this is a tough one so look out for signs indicating if you have priority and don’t always assume you have! If you park illegally in Athens, the police might confiscate your numberplates. Finland has linked fines with wealth; a millionaire got a €100,000+ speeding fine. This doesn’t affect foreigners (yet), but the country has one of the highest on-the-spot fines in Europe. 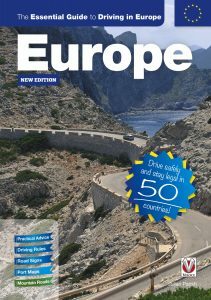 The Essential Guide to Driving in Europe was the source for some of the above. The book has a country-by-country summary, as well as a number of general sections on different aspects of driving safely in Europe; from emergencies to dealing with extreme weather conditions. 50 countries are covered: all the way over to Russia, Turkey and the ‘Stans’ – a useful resource for anyone going on a touring holiday. Next story Do I need the native language? Previous story Can Bitcoin become the expat’s best friend?